Keeping high school students connected, and challenging them to grow in their faith through the summer has been a focus of our team. It has been exciting for us to see college volunteers come alongside us as staff in leading our Summer Venture program. A group of college students (most of them, former Student Venture students themselves) helped with our first Summer Venture program during the summer of 2011. 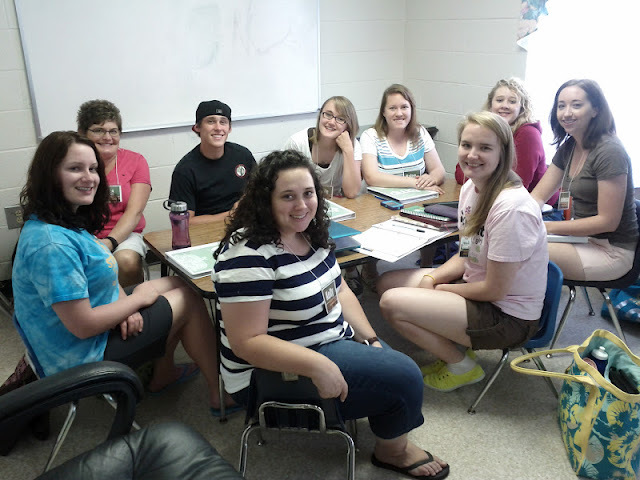 And this summer these college students have returned to help head up Summer Venture again! They are an amazing group of volunteers and have done a great job! Summer Venture met once each week throughout the summer, drawing high school students from the area together for teaching, worship, and fun. The college volunteer leaders met each week, as well, to plan and prepare for the lessons and activities. It was a great summer for the high school students who gathered each week, and also for our college volunteers. They were coached by Andy, our part-time staff guy, and he did an amazing job of encouraging them, and also of letting them take major leadership throughout the summer. We thank God for Andy's capable leadership, as well as that of Debi and Jake. And we are so grateful for our college volunteers, and for their desire to minister to high school students. In the photo above, you see Andy (and Debi, and Jake) leading our college volunteers in a valuable debriefing time. All of them wanting to stay on board, and already planning for another great Summer Venture in 2013! Debi, full-time staff with Cru Omaha, had an amazing opportunity this past summer to help with an Education Majors Project in Myrtle Beach, South Carolina. This project was for Education Major students who have a desire to share Christ as teachers in the public schools. The Education Majors Project was a four-day conference to "train, inform, and cast vision for future teachers to impact students for Jesus Christ." Debi was privileged to lead her group of college students through a "24 Hour Challenge" where they were given the "assignment" of launching a Cru movement on a middle or high school campus. In the process of brain-storming and learning from the material they were given, making phone calls with present Cru (Student Venture) leaders around the country, they learned much about how to run a successful Cru ministry in a public school setting. 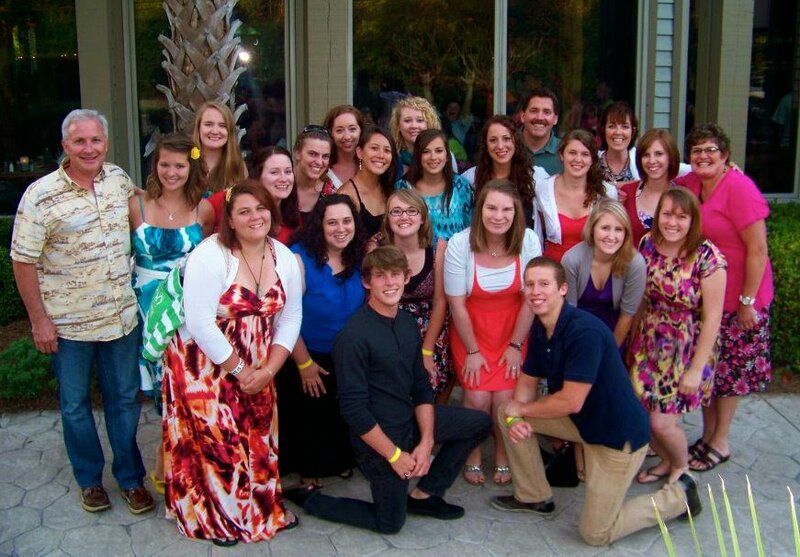 After the four days together, the Education Majors college students then took on leadership as 250 high school students, staff, and volunteers arrived for the five-day Myrtle Beach Getaway Conference. This hands-on time impacting middle and high school students was also a valuable learning experience for the Education Majors college students. 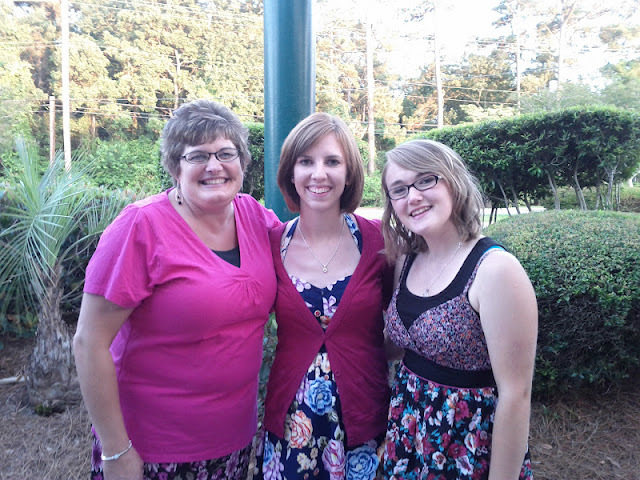 Debi was a great asset to both the Education Majors Project and the following Myrtle Beach Getaway. She loved helping with both of these events, and also is so great at connecting one-on-one with the girls. Two of the college gals on the project were from here in our Omaha area. And an amazing result of their summer project is that they have now offered to help as volunteers on our Cru Omaha team during this coming school year! Debi is actively working together with them in preparation for running Cru (Student Venture) at Marrs Middle School in Omaha! A special thanks to Debi for sharing these photos, and also much of this information with us! A new school year is upon us! So much to plan for, and to pray for with our six existing Cru (SV) campuses, and also with an additional four or more that we will be opening up this fall. We would love to have you pray for us as we begin a new school year of ministry through Cru, seeking to build movements for Christ on the middle school and high school campuses in the Omaha area. Debi - full-time staff gal with us for three years now. We're so thankful for all that she adds to our team! Andy (and his wife Robyn) - part-time staff with Cru (SV) for 9 years now. A great asset to our team! Jake (and his wife Chelsea) - new part-time staff with us. So thankful to have him join our team! And Gary & Cherry - entering our 22nd year as full-time staff, and our 41st year of full-time ministry. We also have an amazing team of 25 volunteers, whom we hope to introduce to you here throughout the coming year. We are incredibly blessed by having such a great group of volunteers, and they are an integral part of this ministry - you will love to get to know them. Please pray for complete funding for Jake this month! Jake is working hard to finish up with raising his financial support in order to devote 20 hours a week to Cru during this next school year. He has a day job as a para-professional in an Omaha elementary school, and has felt God calling him to give his time to reaching high school students as his second job. In order to be able to do this, he needs to raise the funds needed for this part-time position with us. We are thrilled to have him join our team, and he will be a great asset to our team. His background in Student Venture as a high school student, his training at Grace University, and his heart for God and high school students are so vital to this movement. Please pray with us that God will open the doors for Jake's financial support to be completed this month. If you are interested in joining his financial support team, please be in contact with us, or click here to give online. This blog has been silent for the three months of May, June, and July - and now, at the beginning of August, we are starting up again with posting here. The reason for the silence is that we were granted a three-month Sabbatical/Time Off in celebration of our being involved in full-time ministry for 40 years! God blessed our three months in more ways than we even imagined, and we are so grateful. Most of our time was spent at home and in the area, but we were also blessed with an amazing two-week trip to the New England states and up into New Brunswick. You can click here and here to read a little about our Sabbatical/Time Off and view a few photos on Cherry's blog. We are filled to overflowing with all that God did in our hearts during these past three months. And this time away would not have been possible without the full support of our staff team. Debi, Andy, and Jake carried the responsibilities of ministry throughout the summer, and did a superb job. We are so grateful for them. We also are blessed with nearly 25 volunteers, and as our time off began before the last school year was completed, we are so grateful for how they finished out the school year of ministry to students. We are very blessed by our team of staff and volunteers. As we start back up and prepare for a brand new school year, we are also starting with a brand new name. Student Venture has changed it's name to Cru, in conjunction with the recent name change for Campus Crusade for Christ in the U.S. The Cru ministry to college students and to middle and high school students - all with the same name Cru - providing a common thread as students move from one arena of learning to another. All with the same purpose, and goal of connecting people to Jesus. A different name, but the same vision, purpose, and goal. As this new name change for Student Venture became effective yesterday, on August 1, 2012, we will be continuing to make the necessary adjustments with the details of a name change throughout the coming weeks and months. Thanks for your patience, as it affects not only blog name changes, but changes in other places, as well. Please pray with us as we meet as a staff team and with our volunteers here in the Omaha area, and for all the Cru staff across the U.S. This is a busy season of preparing for a new school year of impacting students. We cannot accomplish any of what we desire on our own - we are in complete dependence on God, and on the prayers of many. Please pray for our existing Cru ministries on six area middle and high school campuses. And please pray for the potential of five or more new middle school and high school campuses in our area opening up to Cru this fall. It is our desire to keep you posted regularly about prayer needs, and about what God is doing. Our team consists of three full-time staff members (Jake Loftis, Gary & Cherry Warrick), and about 25 volunteers who give of their time each week to reach high school and middle school students in the Cru Omaha area.